It turns out that very few men in my family eat salads. My baby brother is incredibly finicky and drowns his salad in dressing and pulls out pieces that look too crunchy—or as he calls them, ‘hard’–and the bowl winds up looking like soup-and-salad. The older of my two brothers…..well, I’ve never seen him eat a salad before, actually. And the same goes for my brother-in-law. Last fall, my hubs (then-boyfriend) and I threw a harvest dinner party at the casa, and I was eager to try out new dishes. I was most excited about the salad I’m about to share with you this evening, since it incorporated all kinds of flavors that we loved and celebrated the taste of fall. I was not betting on either of my brothers or my husband’s brother to check it out. My brothers actually ate it up, and my brother-in-law had, like, three hefty helpings. Yeah!!!!!!!! 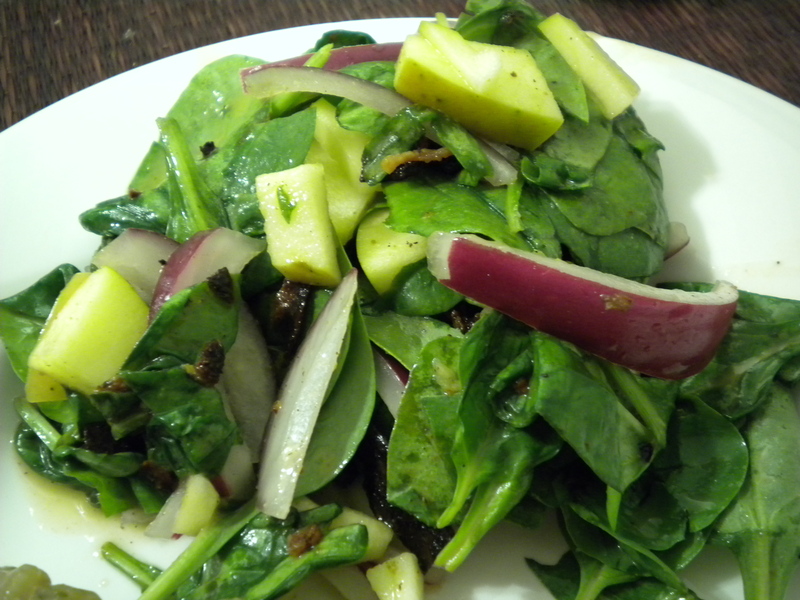 And before you go running away with thoughts of this being a bad-for-you salad, it’s adapted from Cooking Light, so there! We had plenty of pork tenderloin, pot roast , and butternut squash risotto from my cooking extravaganzas last week, so I figured a salad would round out a meal of leftovers nicely…..and sadly, there are no leftover remains of this delicious dish. 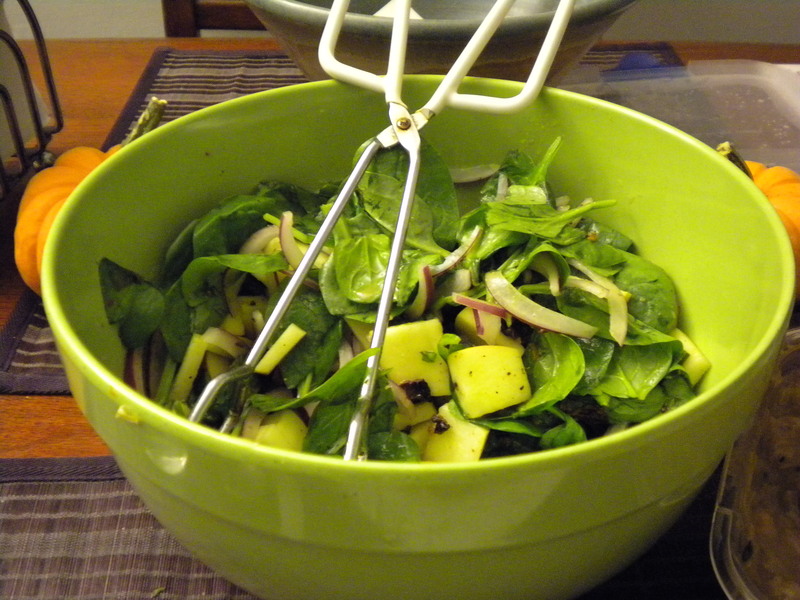 1-–Chop 1 large apple (or two small apples) and 1 red onion and slice it vertically, enough to make 1/3 cup. 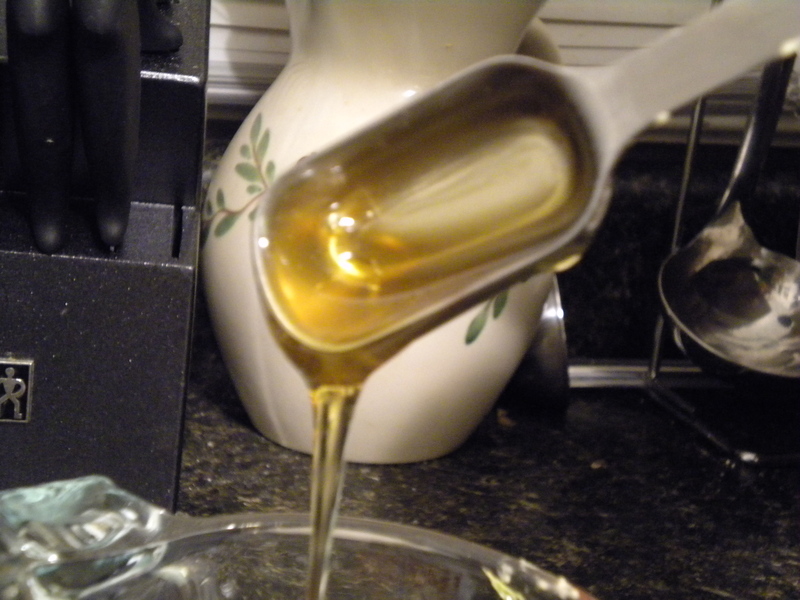 3–In a little bowl, whisk up 1/4 cup cider vinegar, 1/4 c. rice vinegar, 2 T. honey, 2 tsp. Dijon mustard, 1/4 tsp. salt, and 1/8 tsp. freshly ground black pepper. 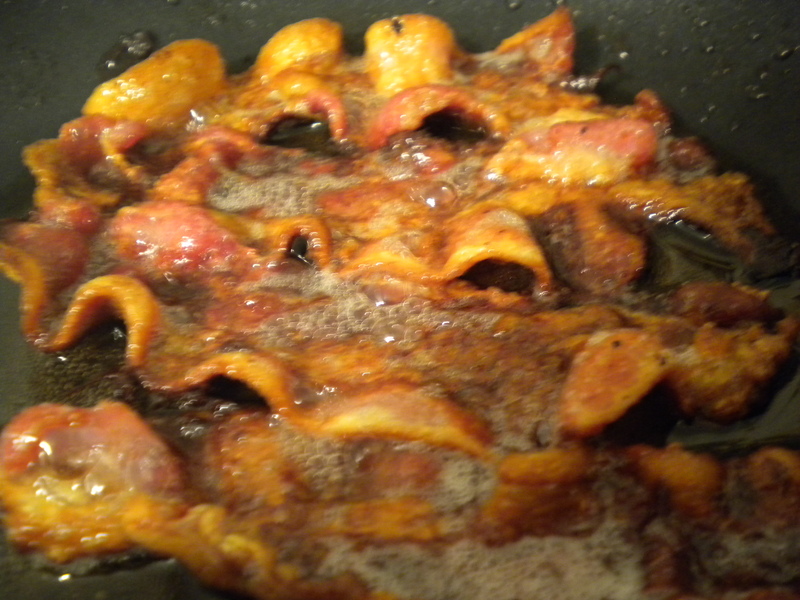 Pour into the bacon pan and stir, bringing to a boil. Take it off the heat. 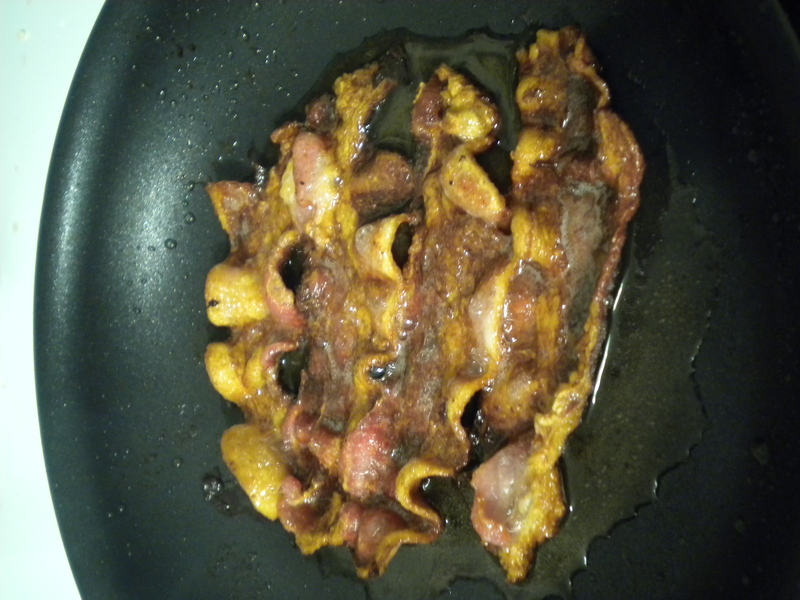 4–Combine that chopped onion, that chopped apple, that crumbled bacon, and 1 10 oz. 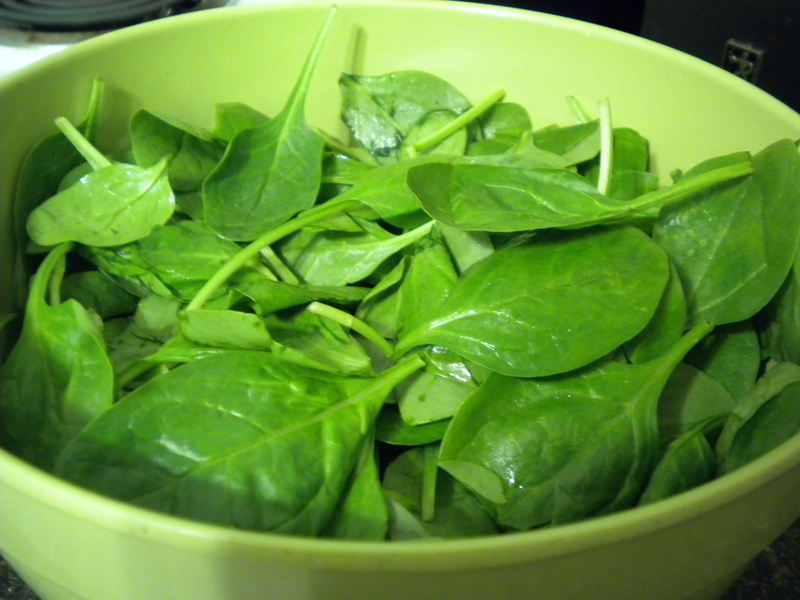 package of baby spinach and pour your dressing over the top. So good, you might want to make it a double. Charlotte, I very much like your blog posts for October and this month. How long have you been doing a food blog? I, for almost a year now and never get tired of posting my weekly/10 day at most new entry. I thank you again for checking out my blog and commenting and will look forward to your new posts. I’ve only been up to this for a month, officially, but I’m loving it! I can’t wait to come home each day and start working on this. Thanks for stopping by!! I finally tried that Honey Mustard Marinade that you posted back in Oct. I had replied that I would try it on the grill. Well, tonight I made the marinade with chicken breasts, and grilled it. (I’m not ‘skeered’ to grill when its cold, I’ll grill steaks in a snowstorm! LOL) Anyhow, it was WONDERFUL!! My husband loved it!! I really liked it. I’m not normally a fan of mustard or honey mustard, but I’m game to try new things and I’m glad I did. I thanked my mom (Suzie V) again for pointing me to your site. The next thing I want to try is that apple cake with the caramel frosting. Thank you for taking the time to do all this. Katie–I’m so glad you guys liked it!!!! That is so encouraging to hear. I do hope you try the apple cake and let me know how that adventure goes; tell your friends! 🙂 Thanks for being willing to try new things, including this little web site here! I will let you know how I make out with that apple cake. I have to wait for a weekend-time to do it. (I have more time for such things on the weekends). If it is okay with you, may I share the recipe for the honey mustard marinade? I know I will be doing chickne breast that way again! It was so easy. I like this website, its pretty easy to navigate and it doesn’t take forever to load (We have dial-up) and I appreciate that. Yes, you can share the recipe for the marinade, or you can just direct your friends to this web site! I’ll let you know how that apple cake turns out. Next Next post: pantry raid?